The Kurdistan Workers’ Party (PKK) is known as the Kurdish separatist group who have had rigid tensions and conflicts with the Turkish government since its first armed struggle in 1984. One of the largest minority groups in Turkey, Kurds have faced harsh treatment from the country’s authorities for generations. After the Kurdish uprisings in the 1920s and 1930s, there was a country-wide banning of Kurdish names, customs, and in many cases, the language, while Kurdish ethnic identity was denied. The PKK was formed in the 1970s by Abdullah Öcalan (informally known as Apo), and its cause stemmed from the demand for respect for the Kurdish minority and an independent state. In the 1990s, the PKK changed its demand for an independent state to a demand for greater cultural and political autonomy. According to the PKK’s military leader Cemil Bayik, “[they] don’t want to separate from Turkey and set up a state…We want to live within the borders of Turkey on our own land freely.” In contrast to this statement, the Turkish government continues to insist the PKK is trying to create a separate state in Turkey. They are recognized as a terrorist group by Turkey, the EU, and USA, and Turkish authorities identify the PKK as one of the largest threats to the country. The PKK has and continues to utilize violence and guerilla tactics that have been deemed as inhumane and immoral. A notable example in the Turkish-Kurdish conflict is the Pinarcik massacre of 1987, in which the PKK murdered 30 people (a number of these victims were women and children) in the village of Pinarcik. According to the BBC, more than 40,000 people have died in the Turkish-Kurdish conflict. Female soldiers are not allowed to engage in sexual relations, marriage, or having children, as a way to reassure deeply conservative parents of the women joining these radical groups. This policy is also meant to ensure focus is maintained on the groups’ productivity so that there are no distractions or loss of commitment from their revolutionary fight. Although Western feminist perceptions may argue that the prohibition of sexual relations, marriage, and childbearing are contrary to female liberation, there is a stark contrast to how these Kurdish women are encouraged to demonstrate physical force and strength that are so often not fostered in women in westernized social environments. 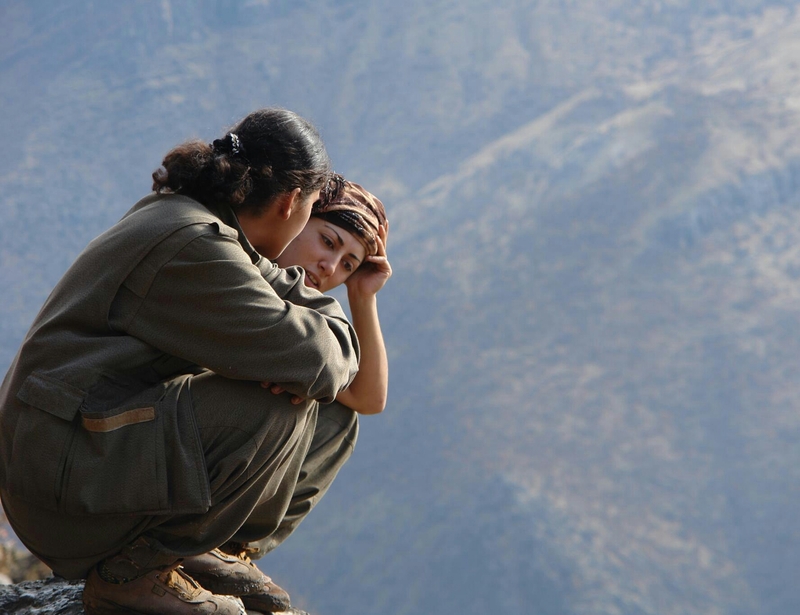 The PKK does not only exhibit characteristics of gender equality through its quotas and recruitment of female soldiers, but they also provide intervention and assistance to women who experience domestic violence or maltreatment by male family members. 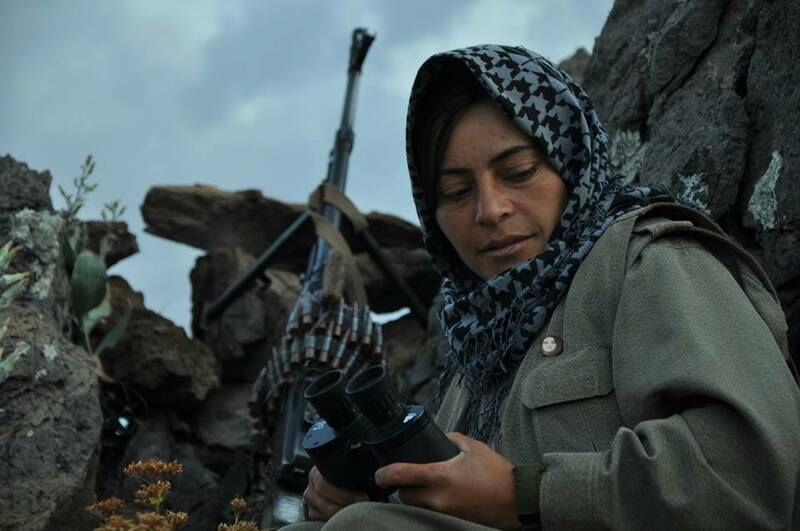 The danger of stories such as those of female Kurdish fighters reaching Western news outlets is that they are glamourized through the mainstream media. Western media articles include those that discuss the fighters’ habit of putting on make-up before going into battle to ensure that if they died in battle, they would “look beautiful in case they are killed.” The shock factor of “badass” female fighters are used as a sensationalist headliner instead of an opportunity to promote a wider understanding of the radical group. For interviews, news outlets are known to choose the most “attractive” ones as interviewees. Instead, the sort of attention these fighters received in the Western media has produced a heavily romanticized and exoticized vision of the Kurdish female soldier that does little to recognize their politics, but instead makes for a perfect clickbait title. Groups like the PKK are as complex as they are problematic. They are groups borne from an extensive history of oppression under a powerful state, and had no other choice but to resort to terrorism because the state they are in refuses to listen to their more peaceful pleas. 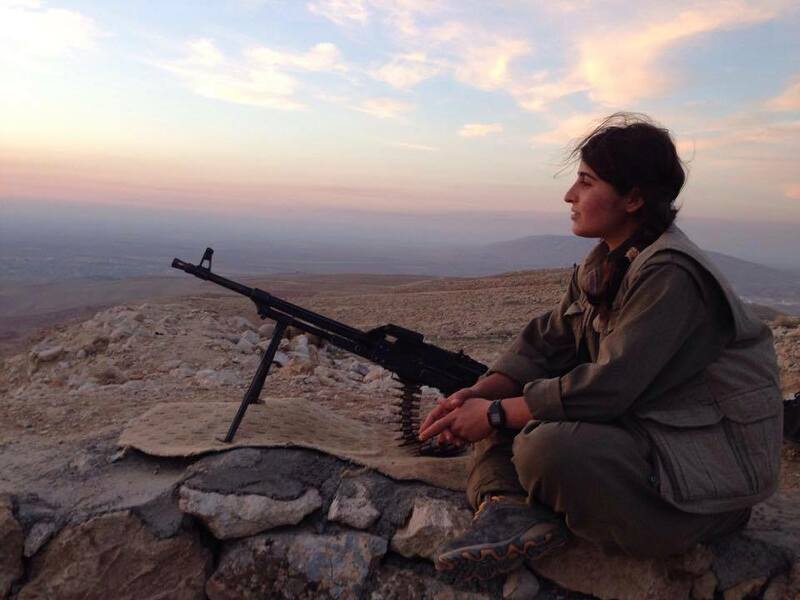 As one Kurdish fighter succinctly put it, “I don’t like carrying or using a weapon, but do you think as a woman in the Middle East I could survive without one, under these circumstances? 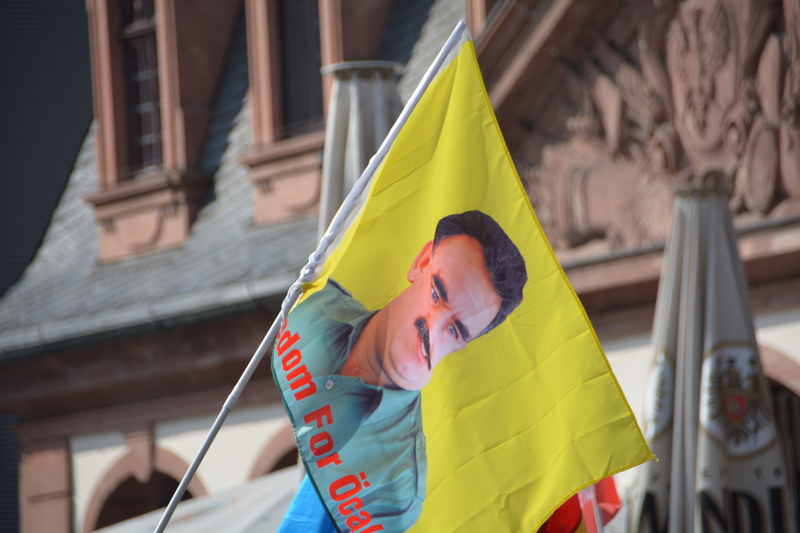 It’s a need, not something I relish.” It is important to remember that support for Kurdish autonomy does not have to entail support for the controversial methods of the PKK, but one must first know the story behind the pain from which the struggle arises.